“It seems that everything I do somehow involves geography. 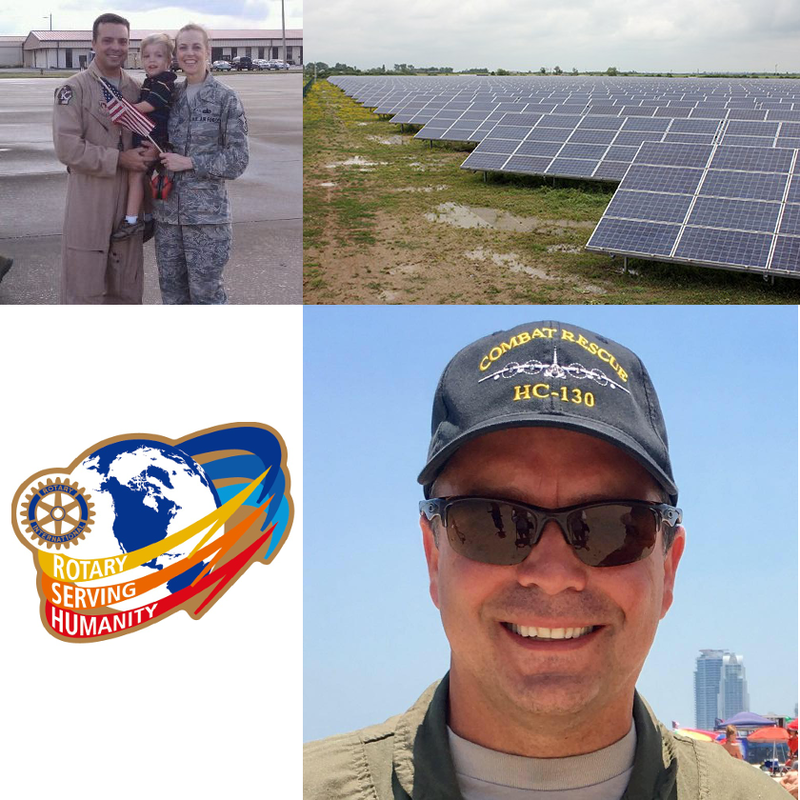 As a Rotarian, I am one of more than 1.2 million Rotarians from over 200 countries and geographical areas in every part of the world. Our work impacts live at both the local and international levels, from helping families in need in their own communities to working toward a polio-free world. Polio eradication remains Rotary’s top priority. To date, Rotary has contributed more than US$1.7 billion and countless volunteer hours to help immunize more than two billion children against polio in 122 countries. At this time, we are literally down to the last few cases in the world. No matter how much money or manpower we throw at the problem, we cannot attain full eradication of this horrible disease without the most current and accurate maps of every single area of population. International geography is what makes Rotary powerful. 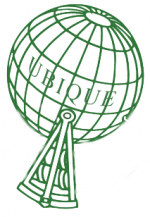 Accurate geography insures Rotary’s effectiveness. 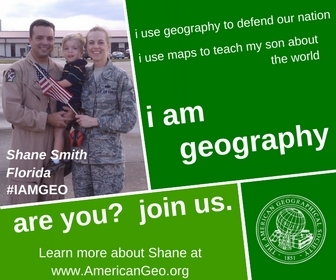 As a member of an elite special operations search and rescue aircrew in the US Air Force, geography is everything. Imagine flying blacked-out, low-level missions under the security of darkness. Such missions simply cannot be conducted without the most current maps to keep us from colliding with terrain and vertical obstructions, and to guide us away from enemy positions and weapons in the target areas. At any given point in our flight during a mission, we have to be prepared to bailout over the geography below with escape and evasion maps. These maps provide essential knowledge about the type of terrain I might land on, where to go for shelter, where to find water for hydration, what kind of vegetation and animals are available to consume and what the culture and current political situation is. Any combat aviator will agree that the maps folded up in our pockets and in our devices are our most powerful weapons. As a businessman engaged in utility scale solar development, geography is also paramount. Solar farms can only be successfully developed if you understand the geography of landscape. The locations of our solar farms depend on their proximity to power transmission lines and population centers, and they must be developed in locations less susceptible to high winds, fire and storms. We study the terrain to ensure the topography of the potential sites will allow the engineers to design a system that will provide the most optimal solar array positioning and maximize the amount of energy to be collected weighted against the cost of the system. We survey the wildlife in the area with the intent to minimize the impact on the environment. We research the archeological history of the site to ensure that we don’t disturb any artifacts or impact sacred land. Finally, it is vital that the site is affordable, has the full support of the local community and is sunny. As we endeavor to develop and build mass amounts of clean, safe and renewable energy for generations to come, it is essential that we think geographically.